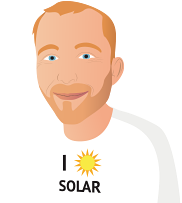 NSW Feed In Tariff Info: Read this before buying solar. Current solar feed-in tariffs in NSW are offered under what is called a Voluntary Retailer Contribution. This means New South Wales electricity retailers don’t have to pay anything for solar electricity exported to the grid, but most do make payment for the energy you export – and so they should, solar energy is valuable stuff! In early July 2018, the Independent Pricing And Regulatory Tribunal (IPART) issued its final decision on an all-day solar feed-in tariff in NSW for 2018-19 of 6.9 to 8.4 c/kWh per kilowatt hour (c/kWh). It’s important to note that this is just a benchmark range and some electricity retailers may offer a rate higher than this, as some did in 2017/18. Again, it’s important to note that these rates are not mandatory. NSW electricity retailers can offer as little or as much as they wish. When shopping around for electricity retailers in New South Wales, bear in mind plans with higher feed-in tariffs for households with solar power won’t necessarily give the lowest electricity bills. In 2016, I investigated which plans were overall the cheapest for solar households and found that one with a feed-in tariff of only 5.5 cents at that time was the lowest cost overall in Sydney. You can find a list of Sydney electricity retailers ordered from cheapest to most expensive in this article. The easiest way to find a local retailer with a good solar buyback rate is to compare them using this tool I made. From the 1st of January to the 27 of October 2010, NSW households could lock in a gross feed-in tariff of 60 cents a kilowatt-hour. After that, from the 28th of October 2010 to the 28th of April 2011, a gross feed-in tariff of 20 cents could be secured. A gross feed-in tariff is one that pays for every kilowatt-hour a solar system produces, but the household is charged for their electricity use as if it all came from the grid.It was a very good deal for those solar households under the 60 cent scheme. However, both the 60 cent and the 20 cent feed-in tariffs came to an end on the 31st of December 2016. If you had one of these gross solar tariffs in NSW, it is very likely your electricity retailer has already contacted you about replacing your old gross meter. It is also likely they will replace your old electricity meter with a smart meter at the same time. A smart meter allows households to pay different rates for grid electricity based on time of use, but does not require it. Having your meters changed should cost you nothing. If you haven’t been contacted by your electricity retailer yet about replacing your old gross meter, I recommend giving them a call. Without an import/export meter installed you will receive nothing for any solar electricity you send into the grid. Most solar power systems that received the high gross feed-in tariff incentive in New South Wales are quite small and usually around 1.5 kilowatts. With the high solar feed-in tariff having ended, many people are taking the opportunity to install larger systems. Some of the options available are covered in this article. With the generous gross feed-in tariff in NSW having ended, many solar owners are considering installing batteries, but even with lower cost storage systems such as the Powerwall 2, households are very unlikely to save money at this current time. The cost of home battery storage is rapidly falling, so this may soon change.